Bernie, Gedorf! You're on the wrong plane! I BOOKED a flight with Jetstar for February 26 next year but it does not bring my wife and I home in time for our disabled son. 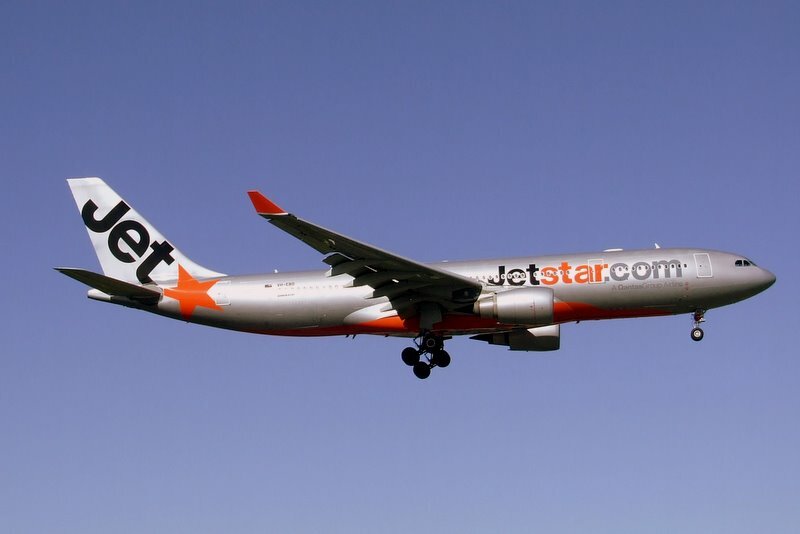 Jetstar is refusing a refund. My wife told me we needed to return from Hobart airport rather than Launceston so the next day I changed the booking. Only Jetstar refuses to repay us hundreds of dollars for seats on a plane taking off months down the track without us. No doubt they will re-sell our seats so we paid more than $300 for nothing. The first chat-line person told me Australia does not have an Airlines Ombudsman and I guess our circumstances show why we should have. This Tasmanian excursion will be our first week-long holiday since I don’t know when. Kevin will be with professional carers and will no doubt be missing us while we are away. Thus we need to be back for him. There is no flight from Launceston to Brisbane on February 26 to arrive before 5pm. To tell you the truth I was not even thinking of Jetstar’s change of flight policies when I booked. You would think there would be some period of grace for a flight five months in advance. Would a week be expecting too much? Well in Jetstar’s eyes it would be. It’s a bit dodgy if the business model of a low-cost airline includes the expectation some infrequent fliers will pay double for flights. To add insult to injury, to get my rejection of an appeal to compassion took three talks with a virtual assistant, one phone call, and chats with three live people. The virtual assistant was the friendliest. Then first real-live person told me to get a medical certificate explaining my son’s condition and to call back. I did this. The second live chatter did not ask to see the medical certificate but like the first asked me what Kevin’s medical condition was. I understand that this is a no-no for privacy reasons but Jetstar does not seem to think so. I communicated with the second chatter for half an hour before he referred me to another website. The third chatter did not ask about my certificate. She just said no dice. Here is most of our conversation. I will leave out her name though I thought she was quite curt and perhaps worthy of naming. Me: Hi M. This is the third time I am trying to receive a refund on a changed flight on compassionate grounds. On top of these visits, I have had two exchanges with your virtual assistant and one phone call. M: Let me see what I can do to assist you on this matter. Me: My keys are sticking so bear with me. My son is disabled and we had to change a flight to get back to him in time. M: Jetstar has a policy to assist customers who have experienced a significant and unexpected change in circumstances before or during travel due to serious illness or injury. Could you provide further details of your compassionate request so I can determine your eligibility? Me: This will be the third time I have supplied details. I have a medical certificate. We need to be home by 5pm on February 26 and no flights leave from Auckland to make that happen. We had to change to x Hobart. M: I can see that you have made changes to your flight Bernie and paid for the upgrade fee to reroute your flight.I can understand from what you’ve told me that you need to attend to your son's needs Bernie. I’m sorry if this sounds insensitive under the circumstances however, our fare rules will apply on this occasion. Me: I would like a refund as we would have flown from Launceston except there were no suitable flights. .Me: Why? I made the change as soon as my wife told me and it was the next day. What is the basis of your decision not to apply compassion. M: Jetstar assists customers whose travel plans are disrupted by serious or injury. We review scenarios on a case by case basis and whilst I’m sorry to hear about your circumstances, our fare rules do apply on this occasion. Me: I shall post about your decision on Twitter. I find it disgraceful. M: Clearly you are unhappy of our fare rules Bernie. I hope you can appreciate that you have accepted our fare rules when you finalize your booking with us. Me: You have the discretion to refund on compassionate grounds and have chosen not to. So it goes beyond the rules. You might also consider you do not have a flight from Launceston on February 26 which arrives in Brisbane before 5pm. M: Bernie, I hope you can appreciate that we cannot just simply process a refund for every request of all our customers - as much as we would like to. As a low-cost carrier our compassionate policy is to assist passengers in situations I've mentioned above. We need to review the eligibility in every circumstance. Me: All of your customers do not have a disabled son who needs caring for. Anyway I have made my point and I will take the discussion elsewhere. No doubt you will resell our seats on Flight. . . .